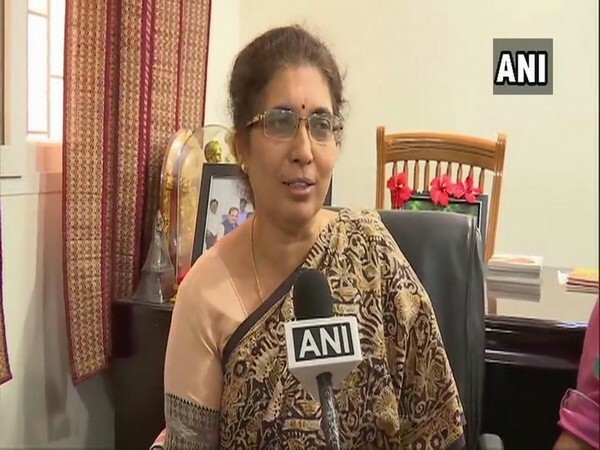 Bangaluru (Karnataka) [India], April 2 (ANI): Days after denying her parliamentary ticket, Bharatiya Janata Party (BJP) on Tuesday appointed former Union Minister Ananth Kumar's wife Tejaswini Ananthkumar as the vice-president of party’s Karnataka unit. Tejaswini was recently denied ticket from the South Bengaluru parliamentary constituency, a seat her husband represented since 1996. BJP has fielded 28-year-old Tejasvi Surya as its candidate from the seat in this Lok Sabha election.